Citizens Advice Bureaux deliver frontline advice services in over 280 service points across the country, from city centres to island communities. In 2017-18 our CAB network of dedicated staff helped almost 262,000 people deal with over 765,000 advice issues. In this year, CAB recorded a financial gain for clients of almost £138 million. CAB record the issues that clients present with when they seek advice. This gives the Scottish CAB service a unique insight into how policies, practices, and processes are impacting on people in local communities across the country. Citizens Advice Direct, the Citizens Advice Consumer Service and the Extra Help Unit are available to anyone in Scotland. We include their issue numbers in our overall statistics but not in profiles which are on a geographic basis. Statistics produced by CAS are as at the time of exporting from CAB systems. Locally produced CAB statistics may slightly differ from the ones reported by CAS due to local amendments after case checking. CAB are represented in 29 of Scotland’s 32 local authority areas but not in North Ayrshire, South Ayrshire or Inverclyde. Therefore Scotland profiles are used for these areas. 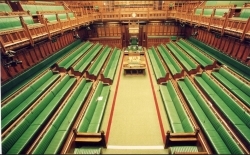 Image: Contains Parliamentary information licensed under the Open Parliament Licence v3.0. Most people in Scotland are not far from a CAB and access to face to face advice.